Next up: two female saints going at it with a trip to the Final Four at stake. If you were placing bets the currency would be the Euro — we have a Spaniard vs. a German. It’s a battle between mystics of mythic proportion. Several miracles and legends have developed around Theresa’s death. She died on one of her journeys through the Spanish countryside in October, 1582. 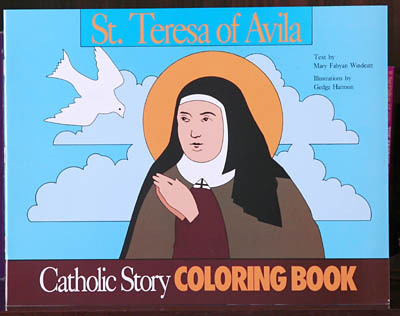 That night, her monastic cell back in Avila was said to fill with a pleasant fragrance. When her body was exhumed 330 years later, her coffin emitted the same heavenly smell. This miracle has been called the “odor of sanctity.” According to another legend, a hand severed from Teresa’s body could perform miracles. Finally, Theresa is the patron saint of, among other things, people with headaches and those ridiculed for their piety. 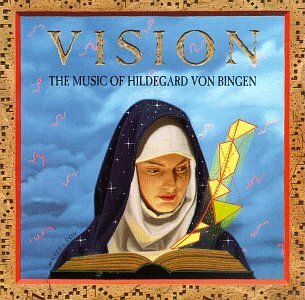 Hildegard was a woman way ahead of her time — mystic, abbess, author, artist, musician, philosopher. Unfortunately, the New Age movement has horned in on her achievements and has recently made claims upon her. Many of her (very Christian!) visions and her music have been hijacked by New Agers. 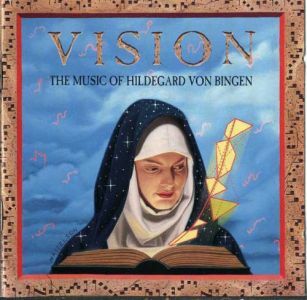 You can find CDs featuring Hildegard’s music labeled “Healing Chants;” she’s sometimes referred to as a “feminist nun;” and is celebrated as a “female herbalist.” It has also been suggested that migraine “auras” inspired her art. On to Legends and Kitsch! One oddity of the popular Julian is that we really don’t know whether she was actually named “Julian.” Her writings were anonymous and it has simply been surmised that the author was Julian based on the name of the church in Norwich: St. Julian’s. 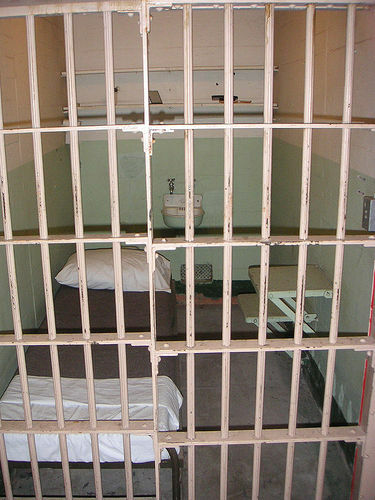 This was where she lived as an anchoress, a hermit living in a cell attached to the church. But here’s the catch: there was another St. Julian for whom the church was evidently named. This Julian was a popular figure of medieval legend. It seems that Julian, a nobleman, was out hunting one day when he spared the life of a deer that had admonished him. The deer then made the strange prediction that Julian would one day kill his parents. This ended up happening accidentally and Julian resolved to pay penance by establishing a roadside inn for travelers and a hospital for the poor. Thus while Julian of Norwich may have actually been named Julian, there’s a good chance that she was not. 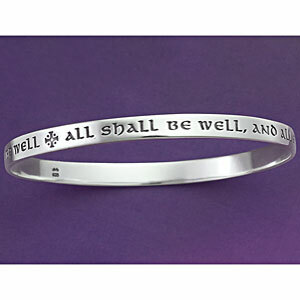 Not much on the Julian of Norwich kitsch front BUT you can purchase her famous saying “All shall be well and all manner of things shall be well” in a variety of formats including necklaces, bracelets, postcards, etc. Peter, of course, has the keys to the kingdom. 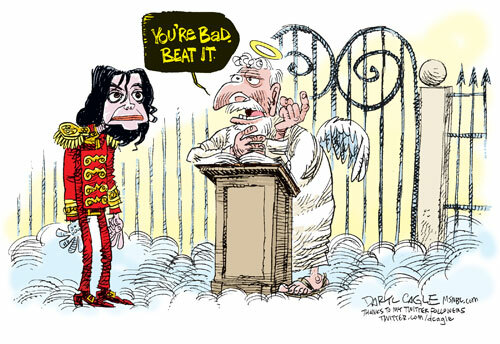 As guardian of the “Pearly Gates” he stands in the middle of countless jokes and cartoons as a sort of bouncer/hotel clerk. It’s safe to say that Peter has made more appearances in The New Yorker than any other saint. The apocryphal Acts of Peter tells the story of the apostle’s martyrdom. Upon fleeing from Rome to avoid persecution, Peter encounters a vision of Jesus going in the opposite direction. He asks him “Quo vadis, Domine?” (“Whither goest thou, Master?”). Jesus responds that he is returning to Rome “to be crucified again.” Peter then decides to return to Rome and accept his martyrdom. According to legend he was crucified upside down. The Round of the Elate Eight begins right now! We kick things off with Aelred vs. Francis of Assisi. Aelred’s a bit of a cinderella, having defeated Anskar and upsetting John the Baptist. Francis stormed into this round by dispensing with Joseph Schereschewsky and Hilda of Whitby. In the first round of Lent Madness we used brief biographies to distinguish the candidates. In the Round of the Saintly Sixteen our discernment tool was the Quote-Off. But this round calls for something deeper. Which is why we’ll be highlighting legends and kitsch (or L & K in Lent Madness parlance). Any saint worth his or her halo has both of these in spades. Legends surrounding Francis’ life are abundant, many having to do with animals. It is said that while traveling with some companions he came upon a place filled with birds in trees on either side of the road. Francis preached to the birds and not one flew away, drawn so powerfully to the sound of his voice. In another story, we hear that a wolf was terrifying the townsfolk of Gubbio, devouring men and animals. Francis went into the hills, found the wolf, made the sign of the cross, and commanded the wolf to hurt no one else. Miraculously the wolf closed his jaws and lay down Francis’ feet. He then brought the wolf into the town and made a pact between the people and the wolf: the townsfolk were to feed the wolf regularly and in return the wolf would no longer prey upon them or their flocks. 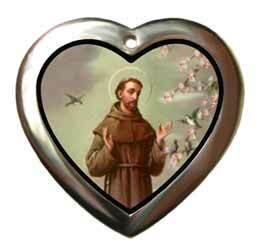 It’s also hard to beat Francis in the kitsch department. Francis lawn ornaments are a cottage industry throughout the free world. Extensive research tells me that Aelred lawn ornaments are exceedingly rare. Lots of intrigue, heart pounding action and, in some cases, heartbreaking choices to be made. But that’s Lent Madness at its best. 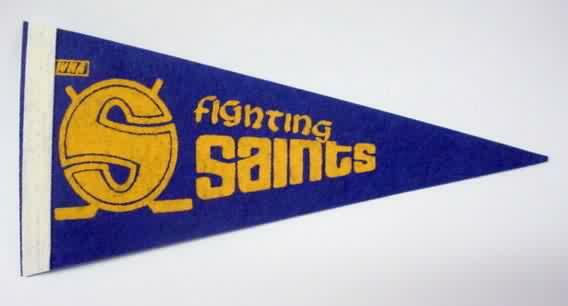 May the “best” saints win to secure a coveted birth in the Final Four. As we’ve gone deeper into the tournament, we’re even seeing some partisans make pleas on behalf of their favorite saints. The Rev. Scott Gunn over at Seven Whole Days is actively campaigning for George Herbert; The Rev. Neil Alan Willard at Laughing Water helped fuel a last ditch effort on behalf of Stephen that fell just short; and Meredith Gould has been pushing various (women!) saints via Twitter. It’s only going to get uglier, my friends. But in a holy way. It’s the last clash of the Round of the Saintly Sixteen! After today it’s on to the Elate Eight! But first it’s Stephen vs. Hildegard. Martyr vs. Renaissance woman. Biblical times vs. Middle Ages. 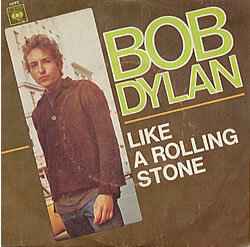 Stoned to death (not in the hippie sense) vs. a natural death at the age of 81. Lots of interesting plot lines as the Church’s protomartyr squares off against a woman so far ahead of her time. It’s another monk vs. nun scenario in this penultimate showdown of the Round of the Saintly Sixteen. 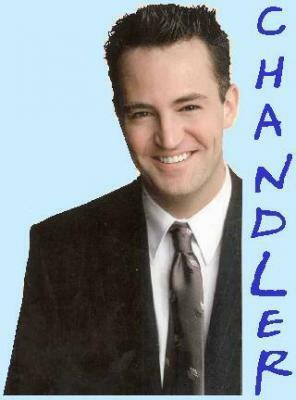 Or maybe it’s a contest between a “J” and a “P” to use Myers-Briggs lingo. Anyone who designs a “Rule” for monks, as Benedict did, can only be considered a “J.” Anyone who lived as a hermit in a cell and had stunning visions of Christ, as did Julian, must be a “P.” At least that’s my revisionist take on these two. Lots of good spiritual sound bites between these two. Needless to say there are many, many more to choose from. One thing you’d never do in attempting to sell a home is bury an upside down statue of George Herbert. 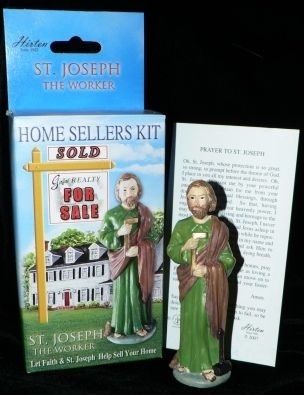 Though I’m not really sure that’s a point in Joseph’s favor. 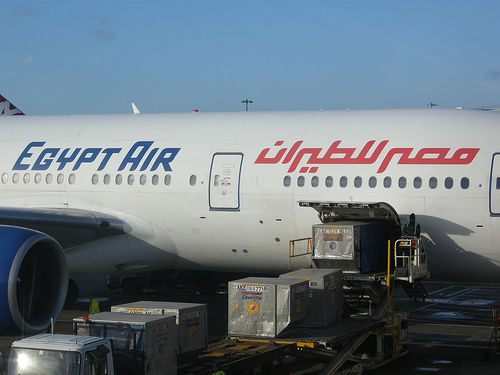 Joseph did “pilot” the flight into Egypt which is a big deal since who knows what would have become of Jesus if Herod had gotten his filthy paws on the infant? As for the Quote-Off we have a man of few words vs. a man of many. Actually Joseph doesn’t say anything but nonetheless here goes!